Another year of EAT! Vancouver took place over the weekend and featured some big name chefs and cooking shows. As part of the media event, we were invited to a number of exhibitors to sample some of their featured treats and to talk to them about their products. There were some other local products being showcased such as coffee, meats and cheese. One of my favourites was the Britannia 5 year aged cheddar. Next was the Hawkers Market which had a number of interesting vendors. First, we tried some treats from the Wonton Girl which were crispy and moist. A very unique item we tried next was a Vegan Coconut Bacon which were little crispy coconut flakes. These were nicely smokey and more on the sweet side but would go well sprinkled on top of almost any salad or in a sandwich. Next we sampled a Mexican spread called Cajeta. It’s a caramel like spread that’s made with goat’s milk and sort of reminded me of nutella. I was told that it’s a traditional condiment that’s found in almost every Mexican home. It’s typically vanilla flavoured but there was also espresso and my favourite…rum! I can put this on anything which is apparently how it’s used, but usually in desserts like crepes or in cookies and on cakes. We moved onto the Bites section of the event which was setup like a mini food court but many vendors were not up and running yet. We tried many dishes from Max’s Restaurant including the Pancit Palabok and Pork Adobo which were very nicely prepared and very flavourful. The crowd favourite was the Halo Halo though. Now it’s onto the Sips section which is obviously a nice way to quench your thirst after sampling so many treats. The local craft breweries were well represented but the wineries were noticeably absent. 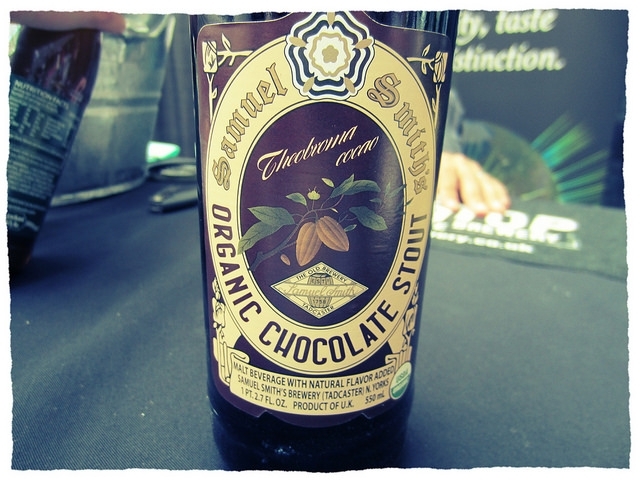 A highlight for me included a Chocolate Stout from Samuel Smith’s which had a really intense chocolate profile and was very well balanced. 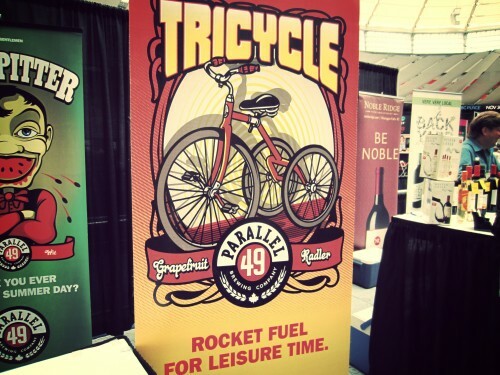 Another brew that stood out was Parallel 49’s Tricycle Grapefruit Radler. This is a light sipper that had a nice citrus bite to start which then gives away to a sweeter body..almost like biting into a grapefruit. This will likely make its way onto a few patios this summer. 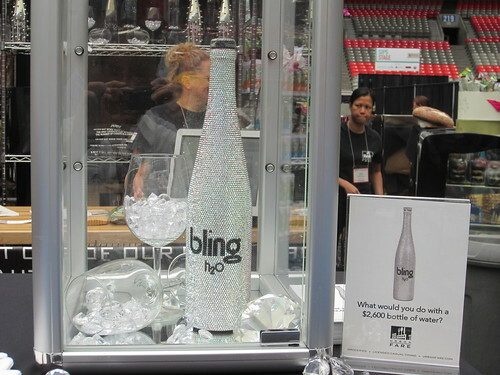 There were many other interesting products and exhibits to explore. A noticeable trend that has been ongoing for quite some time is the push for vegan and gluten free products which were well represented. Another theme was the focus on understanding the sourcing of key ingredients. It’s always good to see that vendors are more concerned with where their products come from and how they are processed. VANCOUVER – Gold-winning Tojo’s of Vancouver Magazine’s “Best upscale Japanese 2013” Restaurant Awards has combined forces with five of Vancouver’s top Japanese restaurants for the first ever Sakura Night (Sakura means cherry tree in Japanese), hosted by Tojo’s Restaurant on March 30, 2014. Tojo’s Restaurant, Zen Japanese Restaurant, RawBar at Fairmont Pacific Rim, Seventeen89, Miku Restaurant and Zakkushi will be creating seasonal dishes to guarantee an extraordinary standing dinner experience in the elegant ambience of Tojo’s. Vancouver has some amazing world-renowned chefs. Bet you’ve always wanted to hear first-hand what makes them tick, their experiences, their passions… Here’s your opportunity to ‘chew’ on a lineup of Vancouver’s best! Join Follow Me Foodie’s Mijune Pak as she welcomes six Vancouver chefs; Hamid Samilian, John Bishop, Vikram Vij, Scott Jaeger, Owen Lightly and Tina Fineza, to share what’s on their mind. Start with a BC VQA wine and canapé standing reception with food provided by Vij’s, Bishop’s, Butter on the Endive Catering, Service Excellence, Next Jenn, The Pear Tree, Maenam, Miku, Chez Christophe and Ebo Restaurant at the Delta Burnaby Hotel & Conference Centre. Then, take your theatre seat for an inspired speaker presentation followed by a question period and aftermath social. Six Chefs – Twelve minutes each – One epic evening. * includes standing food and wine reception and speaker series. Taxes and ticketing fees are not included. Free parking available. Please arrive early to allow for ticket collection. Late comers will not be seated. No refunds. Coal Harbour Liqour Store Annual Pelican Bay Fall 2013 Tasting is here. Try out over 60 different wines and tapas from the Dockside Restaurant. Tickets are $30 and you get a $10 voucher for Coal Harbour Liquor store. This event always sells out so get your tickets fast. I went last year and it was such a great event. Dining in Vancouver just got bigger, bolder, and more philanthropic with the launch of Social Bites’ “Local Global, Vancouver: #dinnerpartyYVR” on Saturday, October 19, 2013. Presented by local tech start-up Chimp, #dinnerpartyYVR is a 30 individual dinner party behemoth, with up to 30 different hobby chefs across the city of Vancouver creating their own menus, choosing charities, and inviting groups of 4-6 strangers into their homes. Bucking the exclusivity trend and kicking “no-Funcouver” to the curb, #dinnerpartyYVR is an inclusive dining experience in Vancouver with the added feel good charity factor. 100% of each $35 ticket will be gifted back to diners after the event through the Chimp Foundation. Chimp makes it possible for charitable gifts to be donated to any charity that was chosen by the hobby chefs for #dinnerpartyYVR! Annika Reinhardt, founder of Social Bites shared the birth and genesis of Social Bites and its goals and impacts with this particular event. Crystal Henrickson, of Yelp Fame, leads the Community Manager program at Chimp, and had this to say on the partnership with Social Bites. The event features menus by someof Vancouver’s most prominent food and lifestyle bloggers including Mijune Pak (Follow Me Foodie), Marc Smith (30 Day Adventures) and Cassandra Anderton (Good Life Vancouver), and members of the Foodists Collective.Meals will appeal to all taste buds: ocean wise, vegan, gluten-free, or pork galore, #dinnerpartyYVR has you covered. Tickets are available online via event partner HomeDine and tickets include admission to a dessert after party at Hawkers Market. Diners will also enjoy beer and wine courtesy of beverage sponsors Granville Island Brewing and Serendipity Winery. Harrison Hot Springs is celebrating Craft Beer Month with three must-attend events over two days: Cask Night, Harrison Beer Festival and Oktoberfest Dance. Beer lovers and weekend adventurers alike are invited to partake in the celebrations and stay for the weekend to enjoy scenic Harrison Hot Springs. The festivities begin on Friday, October 25th with Cask Night, a fun night of song and games with a warm and friendly British pub feel complete with evening piano music. Penticton’s Cannery Brewing and local Mission Springs, whose brewery’s quirky memorabilia collection is worth a visit. • Lower Mainland’s Parallel 49, founded by East Vancouver locals; and Central City Brewing (2012 World Cup of Beer’s Gold & Bronze Medal winner). • Three breweries from Vancouver Island: Driftwood Brewery, Phillips Brewing Company and Vancouver Island Brewery. • British Columbia’s interior representatives: Tin Whistle Brewery from Penticton, Mt. Begbie Brewery from Revelstoke (founded by nuclear physicist Bart Larson) and family-run Fernie Brewing Company. • Eastern Canada’s sole delegate: Mill Street Brewery, hailing from Toronto. • From Northern BC: Pacific Western Brewing, established in Prince George in 1957, Canada’s longest running, British Columbian-owned brewery and the first Canadian brewer to export to Mainland China in 1991 and to Russia in 1996. On Saturday evening, the celebrations continue with the traditional Oktoberfest Dance. The traditional saying to start Oktoberfest is “O’zapft is!” or “It is tapped!” The Beer Barrels will add music to the evening with their own blend of oompa-pa and polka music. Complete with beer, pretzels and bratwurst, it will be a true Bavarian party – lederhosen optional! For more information and to buy tickets, please visit the Harrison Beer Festival website. • Pick a designated driver before you arrive to ensure you have a sober driver on the way back. • Take advantage of the shuttle bus service to Agassiz and Chilliwack. VANCOUVER, BC — Conscious consumers now have a new option when it comes to both finding an ethical source of meat and supporting local farmers — the Beasty Box.Created as a partnership between Re-Up BBQ’s Michael and Lindsay Kaisaris and Urban Digs Farm’s Julia Smith and Ludo Ferrari, this “nose-to-tail” butchery box subscription was introduced to offer a no-fuss means of eating right — in every sense of the phrase. Similar to the community supported agriculture (CSA) model that offers weekly farm shares of vegetables and fruit, the Beasty Box consists of meat from a hyper-local collective of farms — Urban Digs Farm (Burnaby), Gelderman Farms (Abbotsford), Rehoboth Farm (Chilliwack) and Pasture Land Farm (Barnston Island) to name a few — which are purposefully and ethically raising animals without the use of antibiotics or hormones, and in an environment that allows them to express their unique physiological needs. 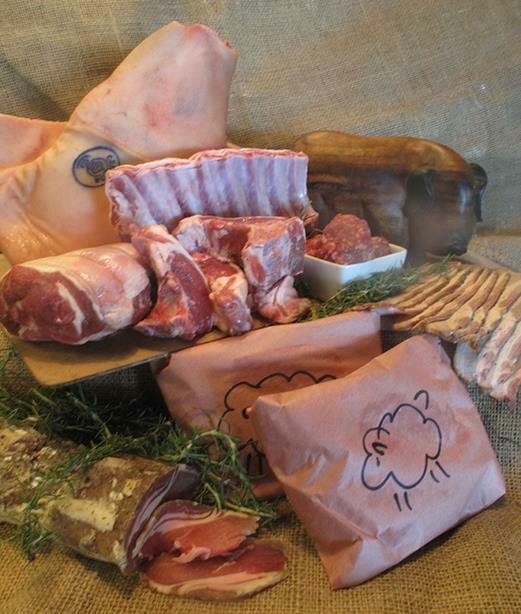 Over the 10-week subscription that begins Nov. 20, 2013, members will receive a mixture of beef, pork, chicken, duck and lamb, and perhaps a few surprises like water buffalo and local Ocean Wise fish. A typical weekly Beasty Box will contain two or more servings of a prime cut of raw meat, cured meat or sausage and a prepared item such as soup, sauce, stew or meat pie. The winter Beasty Box is priced at $490 and will be available for pickup at a variety of locations across Greater Vancouver, including: Re-Up BBQ at the River Market in New Westminster, Urban Digs Farm in Burnaby, Harvest Community Foods in Vancouver’s Strathcona neighbourhood and West Broadway Meat Co. in Vancouver’s West Side. Other pickup locations may be announced shortly to meet the geographical demand of Beasty Box members. For more information or to subscribe, visit www.beastybox.com. Given the nature of the program, there are an extremely limited number of subscriptions available, so interested parties are encouraged not to delay.